This picture has been taken yesterday, 29 September 2018 at Cruz de San Antonio. The bright planet on the left is Mars, Saturn is in the pine trees. Enjoy. 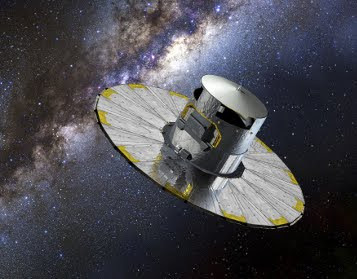 Gaia is spacecraft sent by the European Space Agency (ESA) lauched in December 2013 in order to study star motions in our galaxy, the Milky Way. 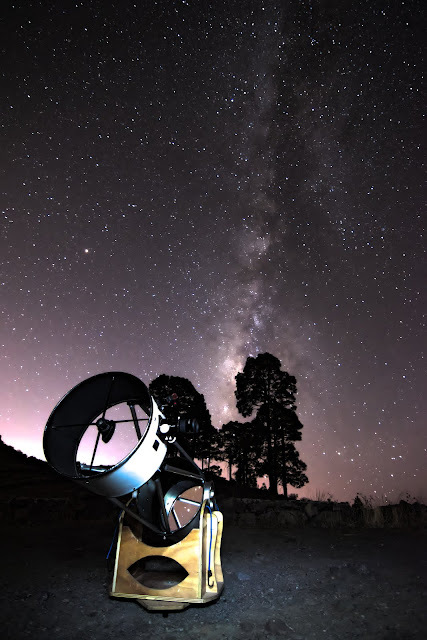 In April, 2018 an important data release has been performed, including data of thousand of million of stars detected by Gaia observatory. This data show not only positions but also velocities of 1.7 billion of stars. Teresa Antoja, researcher at Barcelona university recently discovered an unexpected pattern within this stars. They are moving as the waves on the surface of water after a stone has been thrown. Here we go. First post on astroGC blog. Welcome to all of you. 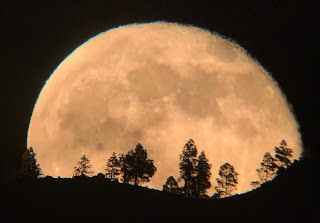 Here is a picture of a recent full moon, rising up from East. 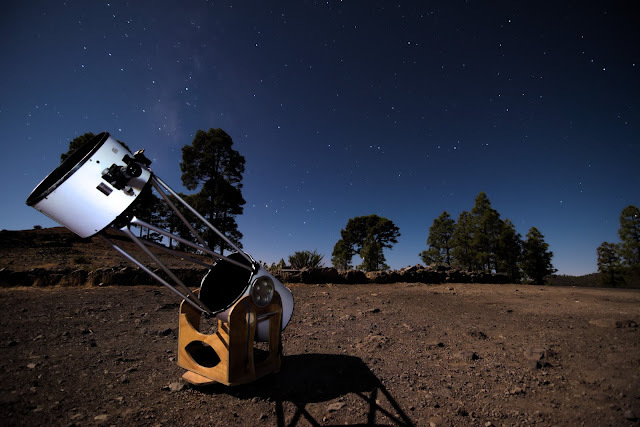 It has been taken from Cruz de San Antonio in South West of Gran Canaria island. The pine trees on the picture are 10 km away at Cruz Grande. The picture has been done using one of our 16'' x 1800mm telescopes with Ethos 8mm x 100º eyepiece and a Samsung mobile phone. Enjoy.